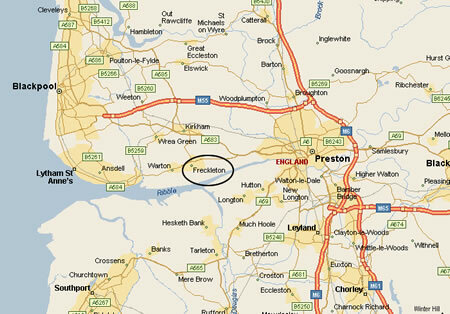 The village of Freckleton is located on the A-583/A-584, between Preston and Lytham-St-Annes. The bandroom is behind the car park belonging to The Coach and Horses Public House. 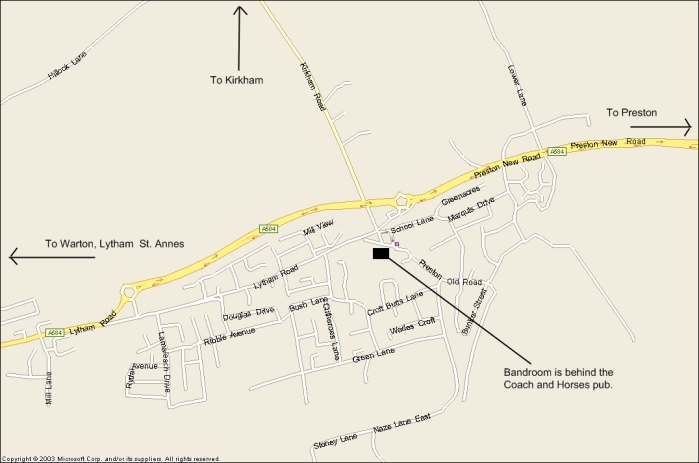 The location of Freckleton bandroom is detailed on the maps below. If you fancy a visit, we would be very pleased to welcome you. And of course, we socialise in The Coach and Horses afterwards!